iPad is basically the most popular tablet in the world. People use it for not only entertainment but also work. With the giant screen and powerful chipset, iPad is able to handle tasks like photo and even video editing. A lot of people, even professionals, would choose to edit photo directly on their iPad instead of using a computer. If you are looking for the best photo editing app for iPad, check out this post and you’d be able to find the one you need. In this post I will recommend to you 5 of the best photo editing apps for iPad that have been receiving positive reviews from users. You should be able to find the best photo editing app for iPad from the recommendations below. 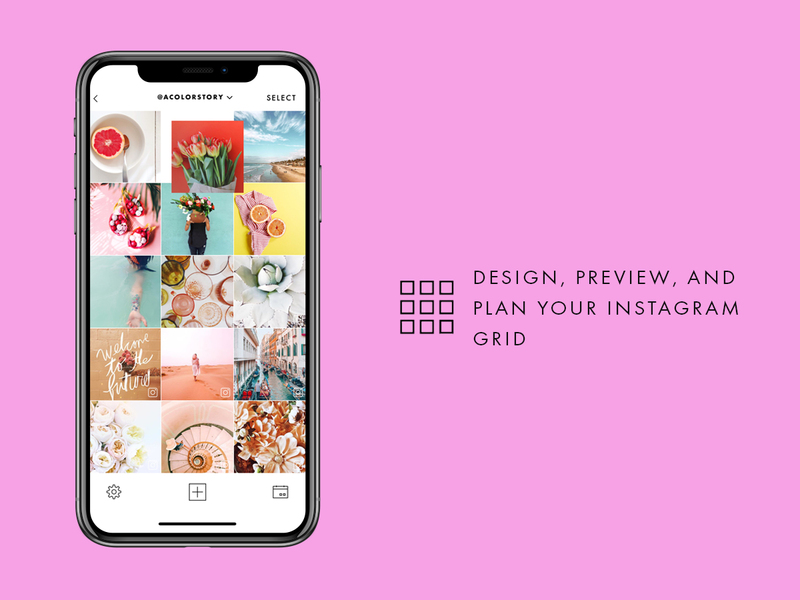 Before you read the following content, you may have a look at the recommedations of best photo editing app for iPhone 2018. 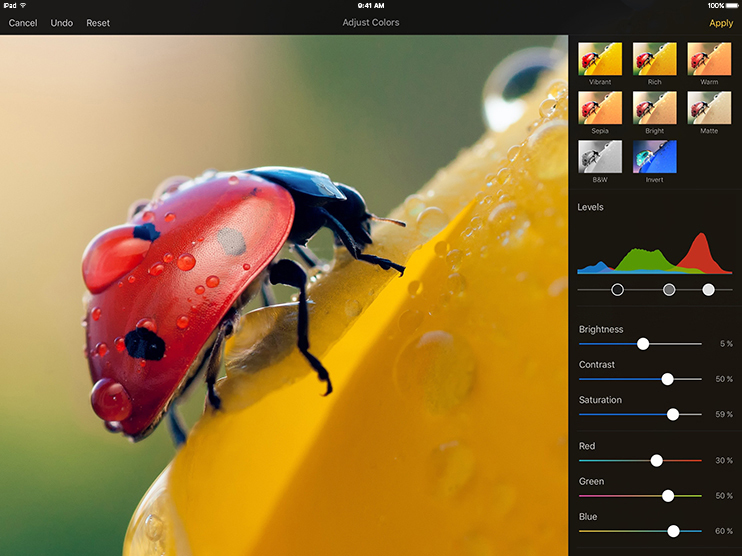 Pixelmator is the perfect choice for professional to edit photos on iPad as it offers countless editing options. There are advanced photo settings that used to be found in professional photo editing programs. It offers single-tap color correction presets and facial editors that erases imperfections easily from the photo. You get to choose from 100 different brushes and eyedropper tools to prefect your work. And there’s so much more to be discovered. It’s not a free app but it’s totally worth $7. If you’ve been using Adobe Photoshop on your computer to edit photos and admire those powerful photo editing tools the program offers, you’d be pretty satisfied with the Adobe Lightroom, which is capable of doing most things Adobe Photoshop can do. It offers you tons of tools to edit your photo. 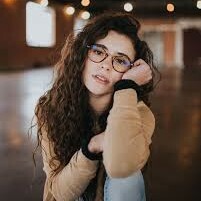 Adjustments you can make include: white balance, tint, black and white, temperature, auto tone, exposure, vibrance, clarity, contrast, hightlights, shadows, blacks, whites and saturation. You can free download it from the App Store but it also offers paid editing features in the app. It’s the best photo editing app for iPad pro with the Apple pencil for delicate work on a photo. 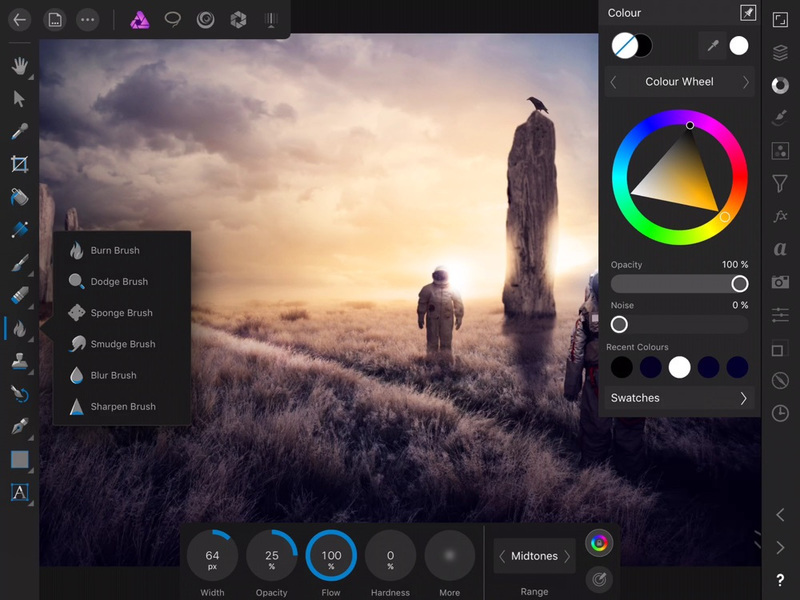 Affinity Photo is also a photo editing app that would be most powerful in a pro’s hand. You get tons of professional photo editing options like editing Photoshop PSD files, endless painting and drawing brushes, 360-degree image support and panorama stitching with corrections and lighting adjustments, countless layers and more. The program will set you back $19.99 but it’s totally worth it. 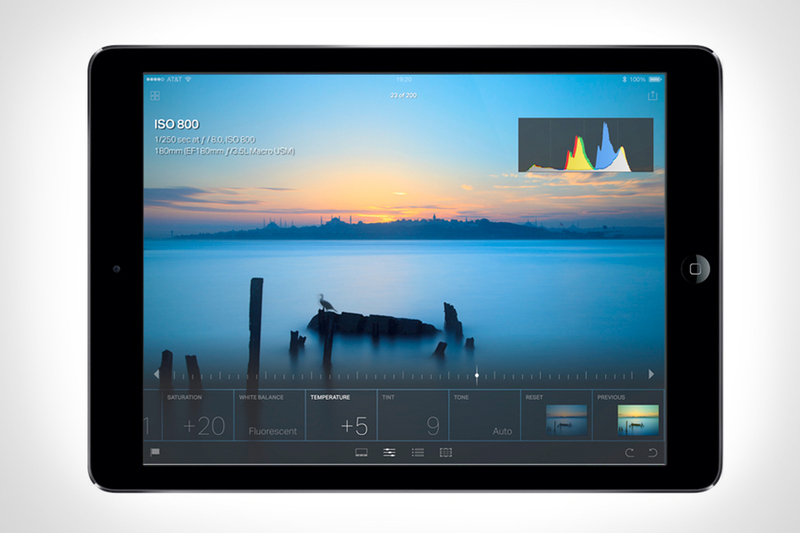 Want the best photo editing app for iPad to help make your photos look sharp? A Colot Story would be a great option. A lot of users have been using it to edit their photos and it’s considered by a lot of users as the best photo editing app for iPad. If you like applying different filters on your photos, then you’d be surprised by what A Color Story offers. It provides you with more than 100 different filters for you to choose from. You will be able to apply those filters freely on your photos to get the ideal look on your photo. You can also adjust parameters like saturation, brightness, contrast, hue shift, exposure, sharpness, blur, curves, etc. It also comes with a lot of different photo effects like lens flares, colored mists. And you get to enjoy all those powerful photo editing features without having to pay a single penny for it. The app’s completely free. If you are looking for a free photo editing app, this is definitely the best photo editing app for iPad you can find. Nowadays, people are uploading selfies to social media platforms on a daily basis. So a photo editing app for this kind of photo seems necessary. And for people who likes to show the best of themselves on social media platforms, Facetune is undoubtedly the best choice. It offers you with tons of video editing tools and effects you can find in Photoshop but you get to use them in a more simple way. You’d be able to make delicate changes to your portrait. You can remove imperfections on the portrait like flaws on your face, nose, eyes, hair and makeup. If you need a powerful but easy to use photo editing app on your iPad, Facetune is definitely the best photo editing app for iPad you can find. After you edit the photos on iPad, you could also transfer the edited photos from iPad to computer without losing changes. As powerful as those iPad photo editing apps may be, people might not be able to get the ideal photo out of them and they can get frustrated easily. When it comes to situations like this, people tend to do the wrong thing, like getting the wrong photo deleted from their iPad. If you just got a photo you’ve been working on for hours deleted from your Photos library, it could drive you nuts. Usually when things like that happen, you can get your deleted photos from the Recently Deleted folder in the Photos app on iPad. 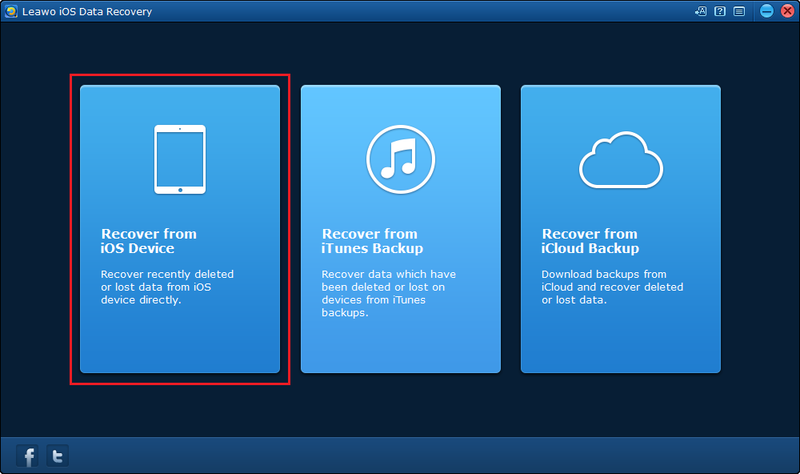 But photos deleted from that folder will be unrecoverable on your iPad if you don’t have any backups. But with help from some third-party data recovery programs, you still have the chance to get your deleted photos back. Check out Leawo iOS Data Recovery, it’s a program designed for iOS device users to recover lost or mistakenly deleted data from iOS Devices and photos is one kind of data that it can recover. 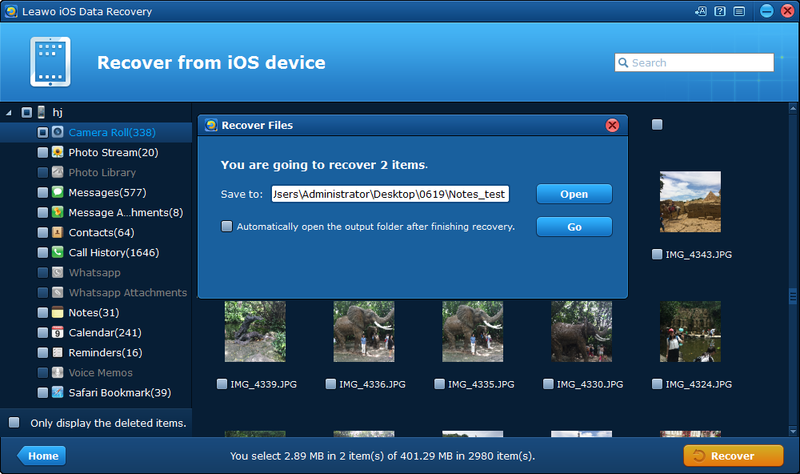 Check out the content below to see how to recover your deleted photos on your iPad using this program. 1. 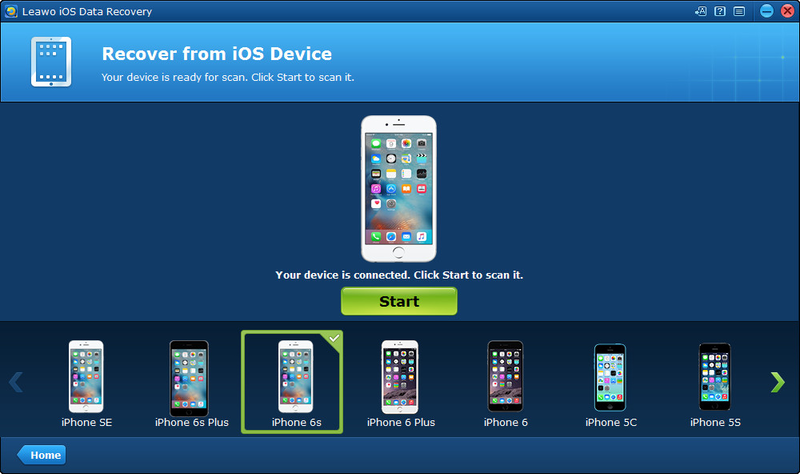 After launching the program on your computer, Select Recover from iOS Device from the interface. 2. Use the USB(lightning) cable that you got out of the box with iPad to connect your iPad to your PC. And then click on the Start button. The program will start to scan and analyze your iPad, which might take a while. 3. After it finishes scanning your iPad, click on Camera Roll on the left column to check out your photos on your iPad. Your deleted photos would be included in it, too. Find the deleted photos that you want to recover and then click on the yellow Recover button below the file list. 4. Next, set the output directory for the photos you are about to recover by clicking the Open button on the following window. And then click on Go to start recovering your photos. 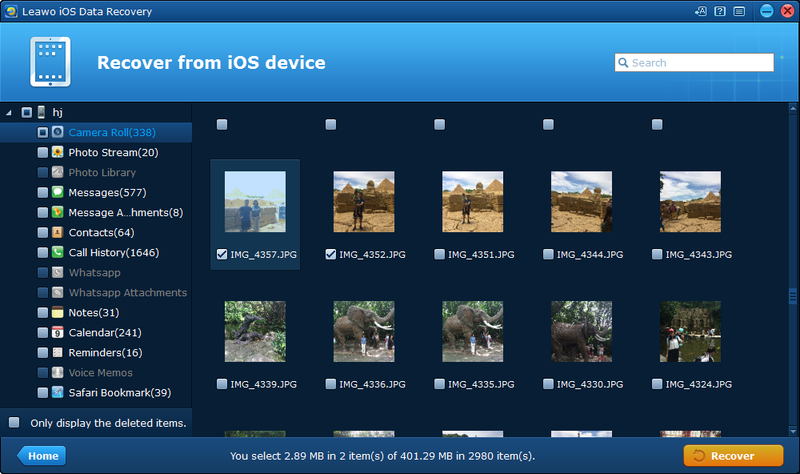 After recovering the photos from your iPad, you can transfer your photos back to your iPad from your PC. Above are the best photo editing apps for iPad. All models of iPad can use those iPad photo editing apps. And they would be the best iPad Pro photo editing apps because they would work even better with Apple Pencil.